The Los Angeles Lakers got blown out of the building on Sunday as they lost 143-120 at the hands of the Philadelphia 76ers. 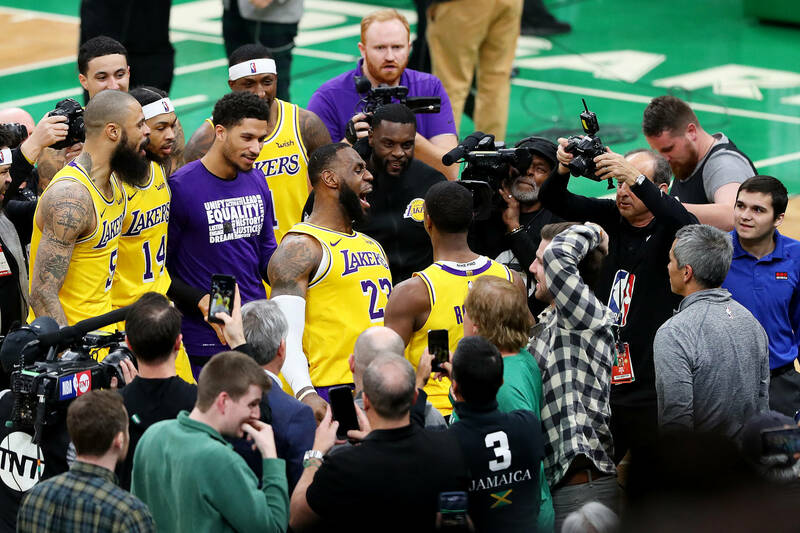 Before the game though, Magic Johnson spoke to the media about the team’s pursuit of Anthony Davis and how the New Orleans Pelicans just didn’t seem very keen on making a deal with the Lakers. Some have even said the trade rumors have affected the chemistry of the squad and has hurt the development of the team’s young stars. Johnson quickly shut down those claims saying the team is fine and full of professionals. The Lakers are currently 10th in the Western Conference with a record of 28-28.